We provide high quality parking lot sweeping, construction sweeping, street sweeping, and pressure washing services to the greater Sacramento area. Advanced Sweeping and Steam Cleaning Company offers professional parking lot sweeping in Sacramento and surrounding cities. CAM Services is the #1 Property Maintenance Company in Southern California! See what a difference we can make in visible results on your property. 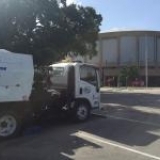 Day and Night Power Sweeping is the premier parking area, construction and street sweeping, as well as power washing, company in San Diego County. 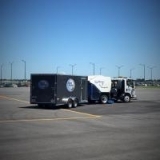 Jack Davenport Sweeping Service offers: quality street sweeping, power washing, and porter service for municipal, residential, and commercial clients. S & G Sweeping and Maintenance has provided services to the Greater San Francisco area for over 16 years.